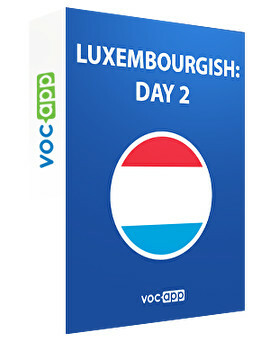 Continue learning Luxembourgish with VocApp! Impress the natives of the only remaining grand duchy with your Luxembourgish! Get to know useful phrases, numbers as well as important grammar points! Improve your pronunciation with our audio lessons! Master the language? - Méi einfach geet net!